Announcing Endangered Data Week at Wayne State University! Endangered Data Week is the information community’s response to the federal government’s attempt to dismantle public data by way of awareness and advocacy for of open data for all. 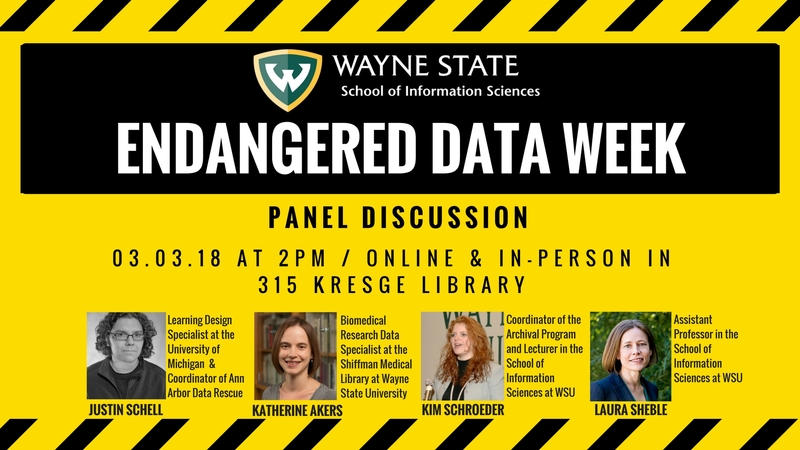 This year, the Wayne State University National Digital Stewardship Alliance (NDSA) & Association for Information Science and Technology (ASIS&T) will be hosting a panel discussion for Endangered Data Week in room 315 at the Purdy Kresge Library on Saturday March, 3rd at 2:00 PM ET.